Catcher Jeremy Martinez went 1-for-3 on Monday as Surprise lost the lead twice and fell to Peoria. Evan Kruczynski was named to the Fall Stars Game. Results from the game played Monday, October 29th. Twice, the Surprise Saguaros (7-10) failed to hold the lead in their 7-6 walk-off loss to the first-place Peoria Javelinas. The Saguaros’ modest two-game winning streak came to an end. The visitors’ first lead came when they plated three second-inning tallies, all of the base runners reaching with two gone. St. Louis’ Jeremy Martinez lined a single to left, advancing Bryan Reynolds (PIT) to third after the latter reached via a free pass. Another single by shortstop Cole Tucker (PIT) drove Reynolds in and moved Martinez to second. Both base runners advanced a base on a balk, putting each in position to capitalize on a two-run double by Texas’ Juan Pablo Martinez. But starter Nate Pearson (TOR) could not make that lead hold up, as the right-hander yielded four runs on seven hits and a base-on-balls over four. Pearson struck out six. 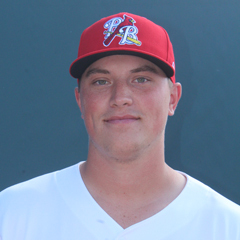 Southpaw Blake Weiman (PIT) baffled Peoria over the next two innings, facing the minimum and fanning one. That put Weiman in position for the victory after his teammates generated a three-run seventh on consecutive singles by Tucker, J.P. Martinez, Vladimir Guerrero Jr and Cavan Biggio. Zach Jackson (TOR) took over for Weiman in the home half of the seventh, charged with holding a 6-4 advantage. The righty worked around a two-out single for a clean frame but ran into trouble the next inning, issuing three straight one-out walks which got him the hook. Texas’ Joe Barlow (BS, 1) (L, 0-1) was unable to escape the bases-loaded jam, surrendering a two-run single that knotted the game at six all. The right-hander was tagged for the walk-off defeat after permitting a lead-off single, sac bunt and RBI single with two out. 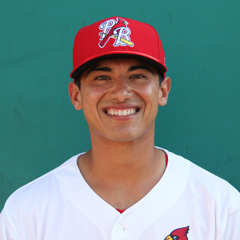 Martinez (STL) garnered one of his team’s 11 hits, going 1-for-3 with a strikeout out of the nine hole. He reached once via a hit-by-pitch. Defensively, the catcher was 0-for-2 in his attempts to control Peoria’s running game. The only other St. Louis prospect to see action was second baseman Andy Young, who went hitless in five at bats. Surprise’s number five batter grounded out, 6-3, to end the first, flied out to center to begin the third, was caught looking in a strike-‘em-out/throw-‘em-out double play in the fifth and grounded out for the seventh’s first out. The 24-year-old finished the day by striking out swinging to end the Saguaros’ one-two-three ninth. In other Cardinals AFL news, lefty Evan Kruczynski was named St. Louis’ only representative to the West team in Saturday evening’s Fall Stars Game, to be televised by MLB Network. The starting pitcher has a 1.72 ERA through four appearances.